Invoice Manager - Invoicing Software for Small and Medium Business. Print quotations, invoices, credit notes, delivery notes. Customer, product and service database, supports barcode reader, email, PDF, letters, labels, reports. Print statements, Record payments, Run multiple companies, Supports 9 languages and localized for 29 countries.Support barcode recognition (with a barcode reader) and barcode printing. - Make, print, save, email or save as PDF invoices, delivery notes, quotations, credit notes and customer statements. - Save to PDF feature does not require any external PDF print drivers. - Product stock reduced as invoices issued. Excel Invoice Manager Platinum - Billing software based on Excel invoice templates and add-in. Bill your customers easily with true What You See Is What You Get invoice templates. The billing software allows you to manage customers, products, invoices and payments easily. AB Invoicing - Invoice, credit invoice, receipt, quotation, delivery note, packing slip, reminder, finance charge, customer register, products register, customer invoices, daybook, ledger, statistics, balance sheet, profit and loss, etc. etc. WHY NOT TRY IT? Invoice Organizer Pro - Invoice Organizer Pro is a flexible invoicing and billing software for all kinds of professionals such as lawyers, artists, constructors, developers, consultants, field experts, designers, architects, accountants, programmers, ..
Excel Invoice Manager Pro - With this flexible billing software & invoice software, you can create invoice, email invoice, extract an invoice as a file, track inventory, and manage customer accounts/bill customers. 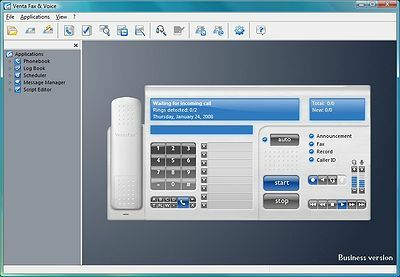 The Pro edition of the software has built in network support. Excel Invoice Manager Enterprise - This is billing software based on Excel invoice templates. This edition is the highest edition of the billing software, supporting custom fields, unlimited number of companies and networking. Billing is easy with its WYSIWYG invoice form! fBilling System - Easy to use billing software for Your company. Self-evident screens, simple and quick invoice creation. Print or email professional invoices with Your company's logo. Manage your invoices and reports. Email your invoices in PDF format.